What could be more Belgian than living on a road named Passage de la Frite? Or perhaps you'd rather live on Passage du Speculoos. 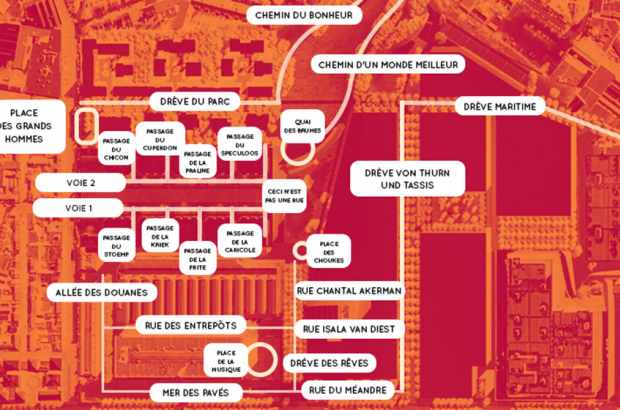 The people of Brussels have chosen the street names for a brand-new neighbourhood being built around Tour & Taxis - and the winning choices are a nod to Belgian surrealism. Over two weeks in June, property developer Extensa received almost 1,400 suggestions from the public via its website. Belgian food is well-represented, with new roads named Passage du Chicon, Passage du Stoemp and - of course - Passage de la Frite. Those with a sweet tooth can live on Passage du Cuberdon, Passage de la Praline or Passage du Speculoos. And since the development is not far from Belgian surrealist Rene Magritte's old home in Jette, it's fitting that one of the selected street names is: Ceci n'est pas une rue. Streets will also be named after the acclaimed Belgian filmmaker Chantal Akerman, who died in 2015, and Isala Van Diest, Belgium's first female doctor.